Storm: So this is where the ore gets melted down. Loana: Probably to remove all the impurities in the ore before going into processing.. Pick up object off the ground. + Shows up if you don't have the droids in the mine. Commander: There's another Droid here. So what do you do? getting paid good bolts for it, so I'm happy to do it. Ore Melt Cooling White Droid: If you hear of any wage promotions or positions, let me know. Storm: Ambitious little droid, isn't he. Commander: Eh yeah, we will let you know if we have anything. Ore Melt Cooling White Droid: Good, well I better get back to work on cooling this ore then. its all I ever do around here. subroutine behavior. Maybe someone altered their subroutines. Loana: Hmmm. could be, I'm not sure what's going on with these droids, might have something to do with bad Sector if they have been reprogrammed to think of themselves as being more human. of themselves as individuals now instead of our servants. Commander: And you pack the ore into litle blocks for storage. change from the other job that I held back at the Droid Workshop. 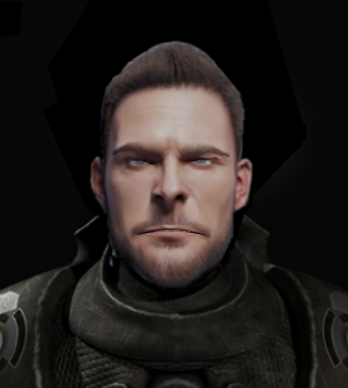 Commander: Glad to see you're enjoying your new job. Packing Droid Purple: I guess so, I'm earning bolts now so I'm happy with it. If you have anymore questions let me know. Storm: Brushing the Ore after soaking it in water, what's going on here. Ore Brushing Red Droid: Hello, I'm just brushing the ore here with this laser brush. Its a dull job but someone has to do it, so it might as well be me, heh. Im getting paid, so I can't complain. Commander: Why do you have to brush the ore? Storm: Packing the Ore? What for? off into the pallette storage area. Then people buy it and use it for different things. Commander: Sort of like gold, I guess. Ore Brushing Red droid: Yeah, I guess so. I'm being paid, so happy with this job for now. Commander: Good to hear, we will be leaving you to it then. + You obtained 50 credits. No more credits to be found. Nosey Nella Parkbottom: So, gee, does this droid do anything more useful around here? you. Cleaning all the Ore, purifying it in heat, ho hum, I'm starting to get a bit bored of this, but I guess I can't really complain because all the bolts you gave me was worth it. As long as I'm paid bolts I'm happy. 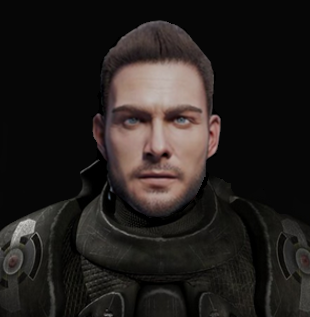 Commander: I see, so anything new to report? Melt Ore Silver Droid: Apart from heating up this ore and melting it and doing the same thing all over and over to each wretched little rock that we pull out of the mine, I would say no. Storm: Those don't sound like words of a happy droid. What's wrong with it? Is it's behavioral subroutines messed up? Melt Ore Silver Droid: I'm perfectly fine, just a little bored of doing the same thing that's all. Storm: I wonder why these droids are not picking up all the credits. Commander: Because their currency is in bolts, not in credits, so its useless to them. Storm: Oh, yeah, well, that explains it, I didn't think of that. + Obtained 200 credits from the floor. Commander: Now this looks interesting. Storm: I don't see what's so interesting about it. Its just a cooling ore area. - end of code construction. + You obtain %spin% credits from the side Ore Crushing Panel.